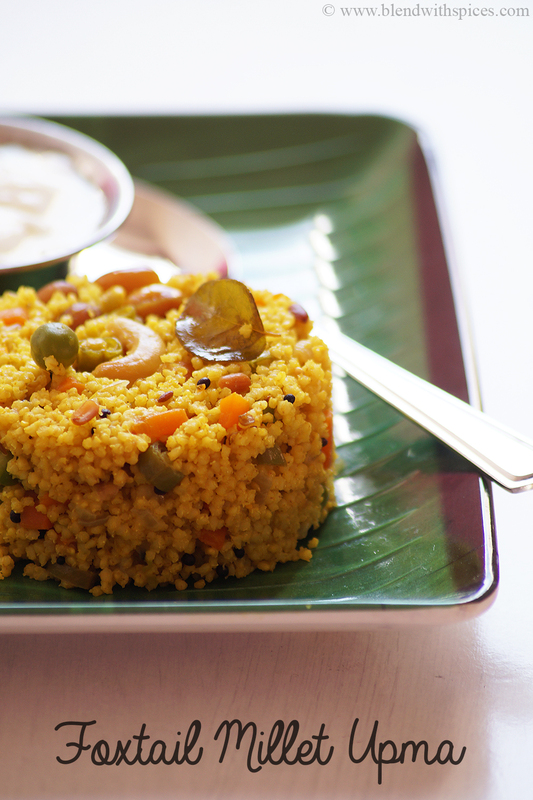 Foxtail Millet Upma Recipe – A healthy and delicious South Indian savory breakfast dish made with foxtail millets, spices and mixed vegetables. Foxtail millet is also known as Korralu in Telugu, Thinai in Tamil, Navane in Kannada and Kangni in Hindi. 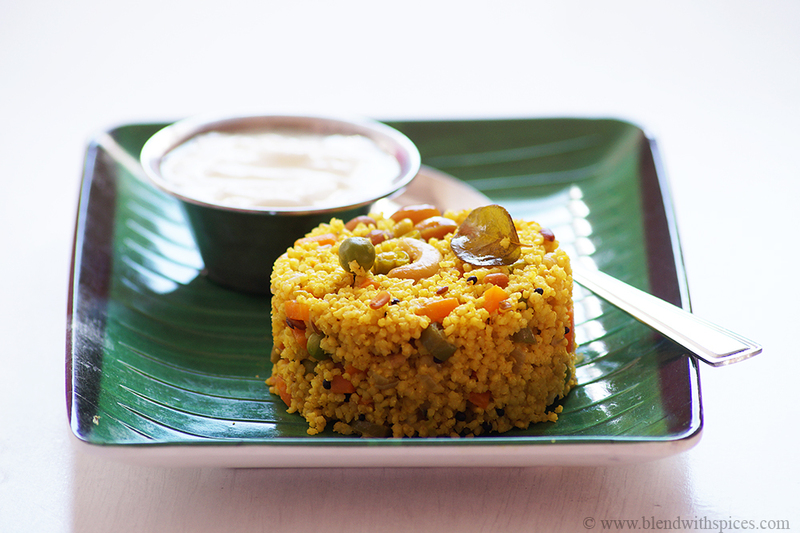 This upma is so versatile and can be served as a breakfast, lunch or dinner. 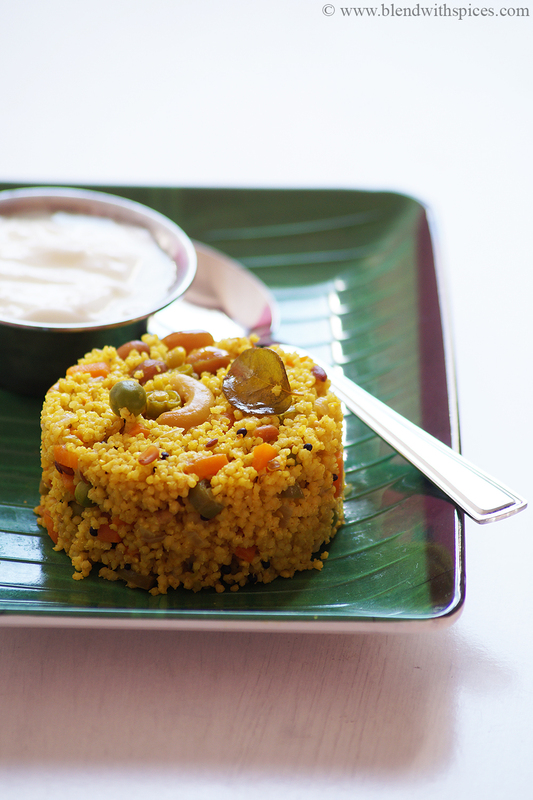 This millet upma tastes great with yogurt. 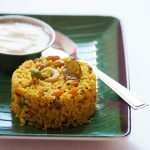 How to Make Foxtail Millet Upma / Korra Upma / Navane Uppittu / Thinai Upma Recipe - An easy and healthy South Indian Upma recipe made with foxtail millets, mixed vegetables and spices. Add mustard seeds, urad dal, chana dal and peanuts. Saute until they are light brown color. 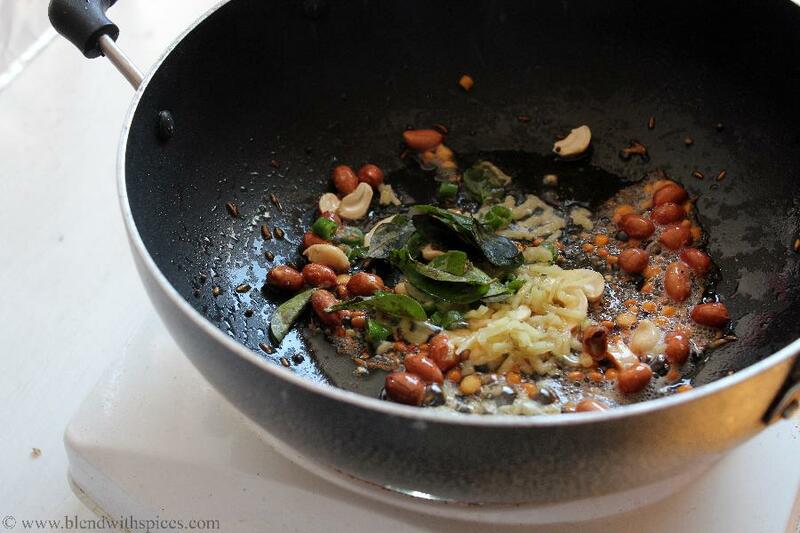 Add cashews, finely chopped ginger, finely chopped green chilli and curry leaves to it and fry for a minute. Add chopped onion to it and fry until they are light brown color. 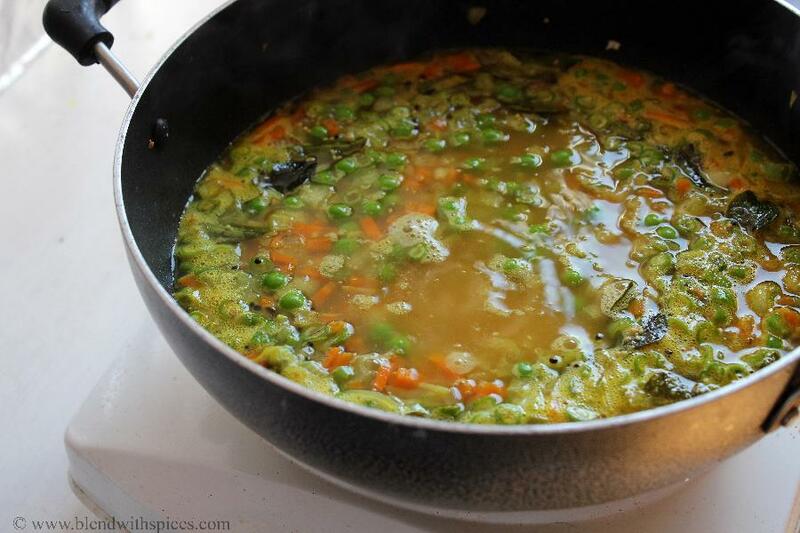 Now add finely chopped carrots, green peas, finely chopped green beans and turmeric powder. Combine and saute them for a minute. Pour water and bring it to a rolling boil. Add salt and rinsed millets to the boiling water. Reduce the flame to low and cover the pan with a lid. When it is done, add one teaspoon of ghee to it and combine well. If you are vegan, use oil instead of ghee. 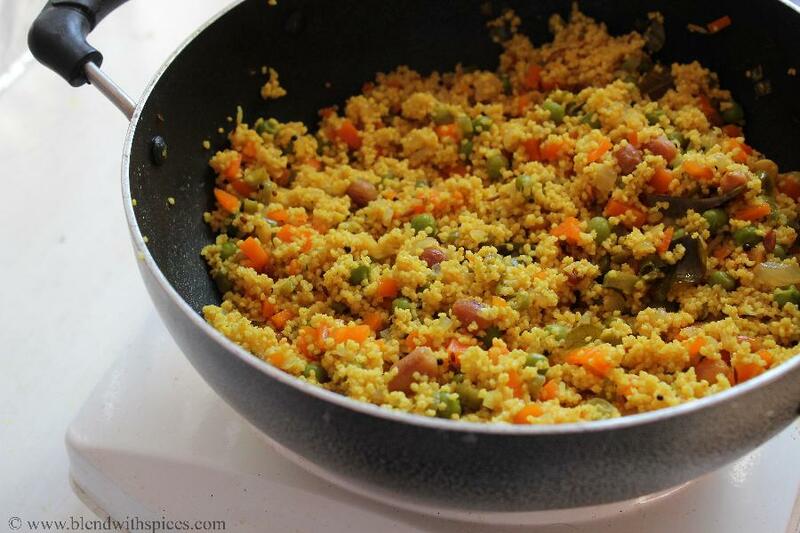 You can use any of your favorite vegetables to make this upma. 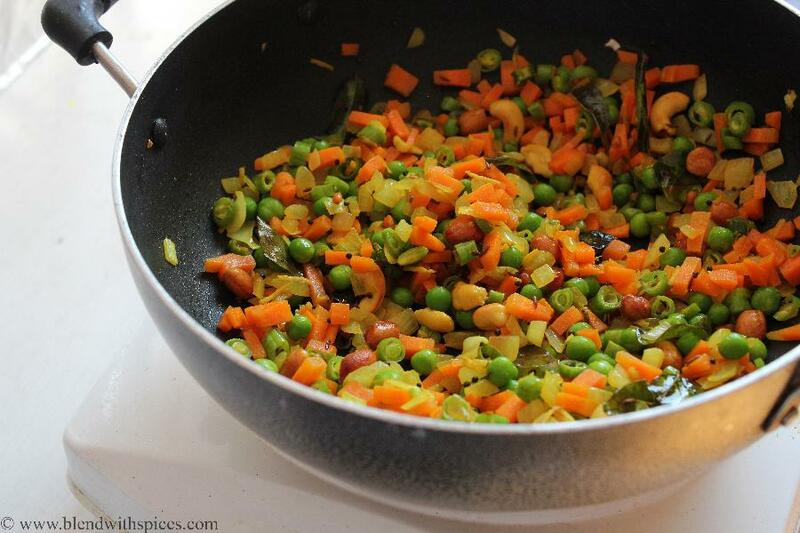 Make sure you use finely chopped veggies to ensure even cooking. Peel and chop onion into small pieces and set aside. 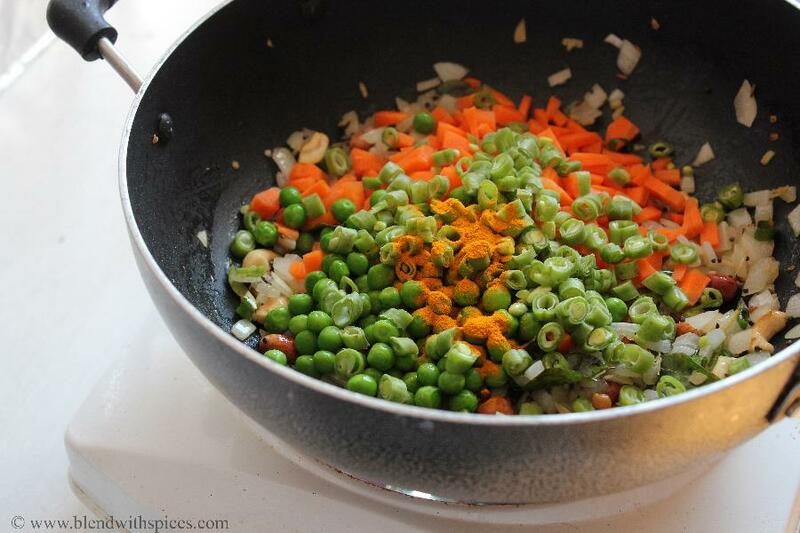 Finely chop the green beans and peeled carrots and keep them aside. 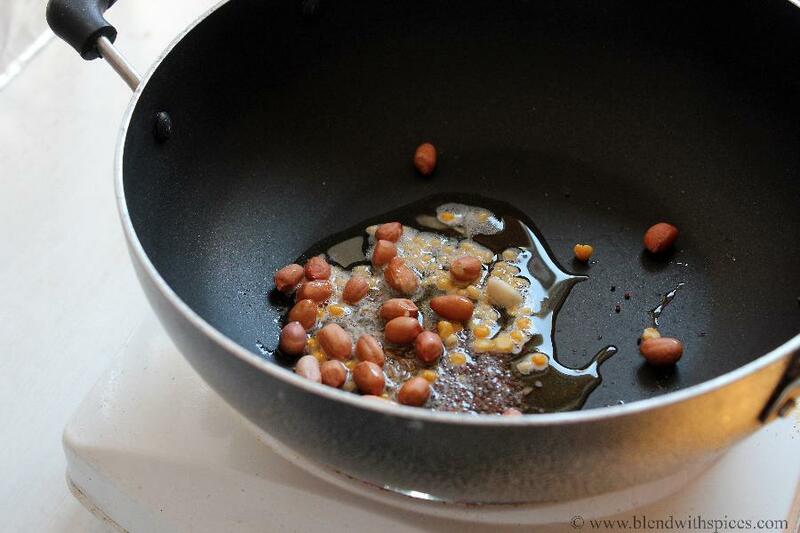 Heat two tablespoons of ghee or oil in a wide and heavy bottomed pan. 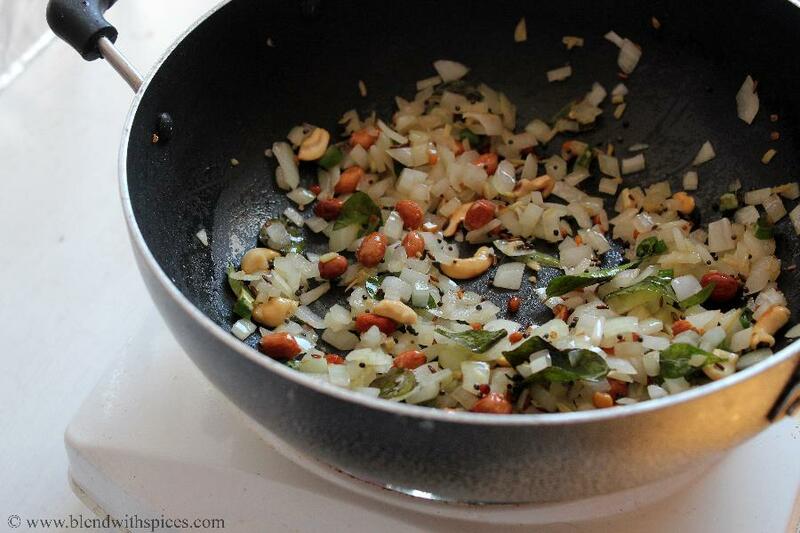 Add mustard seeds, urad dal, chana dal and peanuts. Fry until they are light brown color. 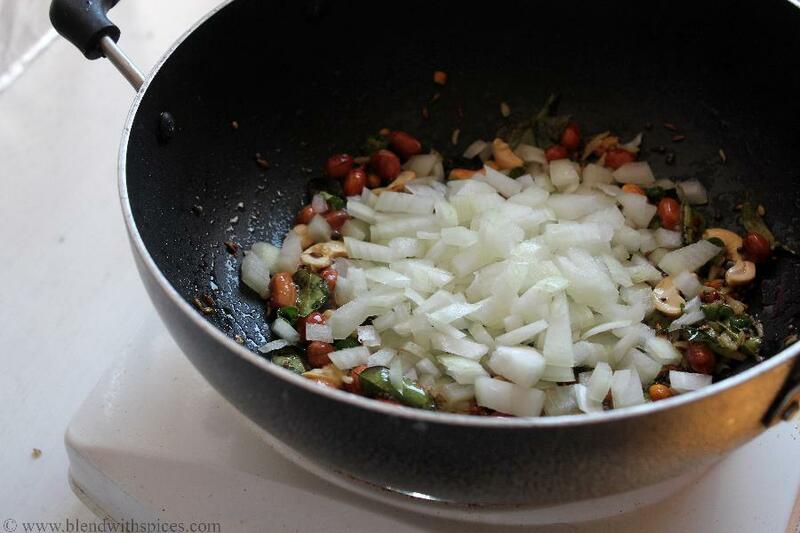 Now add cashews, finely chopped green chilli, finely chopped ginger and curry leaves to it and fry for a minute. Add finely chopped onion to it. Continue frying until they are lightly browned. 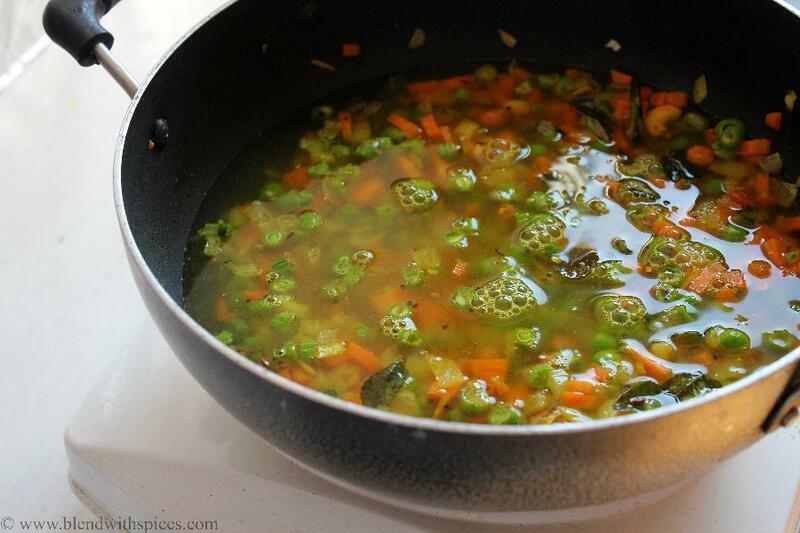 Now add the chopped veggies, green peas and turmeric powder. Combine well and saute for a minute. Pour 1.5 cups of water and bring it to a rolling boil. Add salt and rinsed millets. Combine well. Let it cook on a low flame until it is cooked completely. When it is done, add one teaspoon of ghee and combine well.